This listing is for 2 pieces of Brand New, super bright 9005/HB3 High Power 5050 18-SMD 5050 LED bulbs. Each 9005 /HB3 LED bulb contains 18 Beautiful High Quality 5050 SMDs. Life Time: About 50,000 hours Environmental-friendly, Low power consumption. Installs easily in just minutes - no tools needed! Immediate response and vibration resistant. HB3 base Daytime Running Light replacement bulbs with high power 5050 clips LEDs. 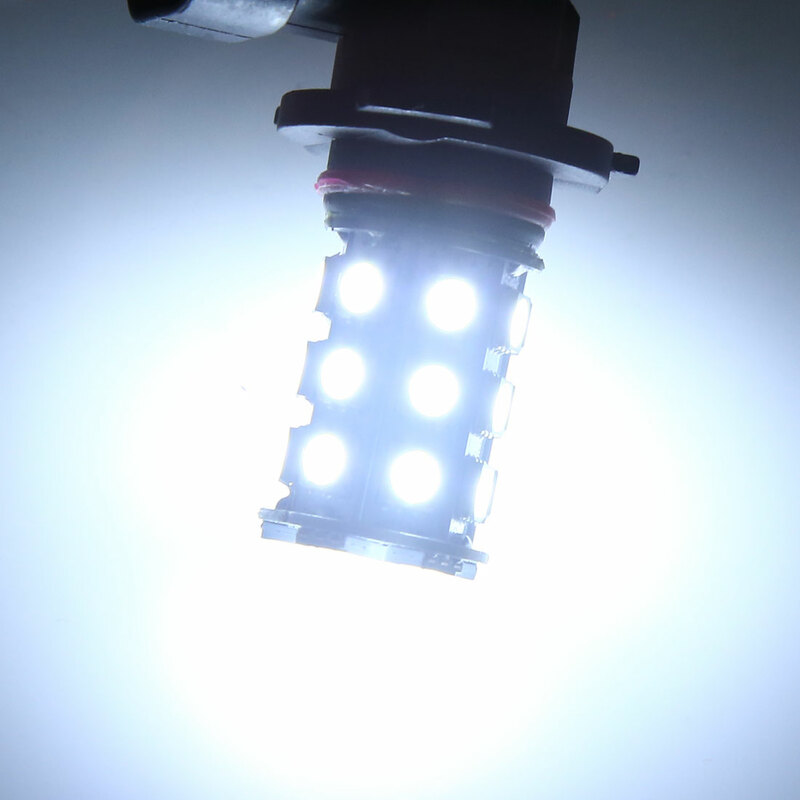 These are our brightest 12VDC replacement bulb for Car Fog/daytime running lamp applications.